Home / News / OBADO pulls a surprise as he beats EACC and Auditor General, OUKO, in their own game - See what he did that has left them looking like fools? OBADO pulls a surprise as he beats EACC and Auditor General, OUKO, in their own game - See what he did that has left them looking like fools? 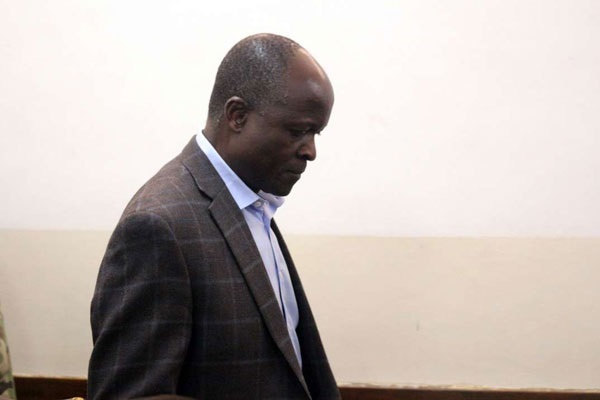 Tuesday March 26, 2019 - Ethics and Anti-Corruption Commission (EACC) detectives and Auditor General Edward Ouko will have a rough time verifying the expenditure of Migori County after Governor Okoth Obado burnt down the offices and buried all the evidence. According to sources, fire razed down the County’s procurement offices in September 2017 and burnt all receipts of goods worth over Ksh1.5 billion. Ouko tracked the expenditure of Ksh1.56 billion through the Government’s online payment platform for the months of July through September 2017 but cannot verify this as there were no documents to back this up since they were all burnt. “The expenditure could not be vouched for due to lack of relevant documents and financial records which allegedly got burnt during the fire outbreak leading to limitation of scope,” the Auditor General explained. Obado is under investigations over the loss of Ksh2 billion which is claimed to have been wired to accounts belonging to his family members.